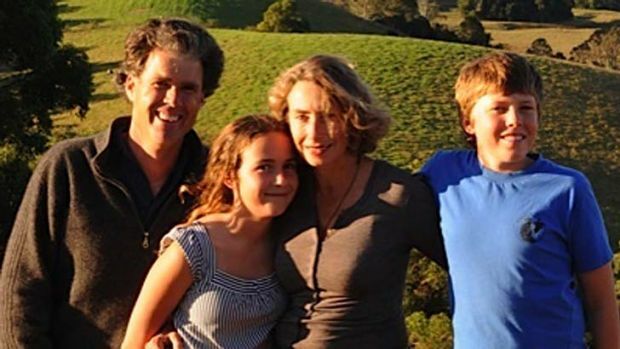 Bruce and Belinda Robertson, cattle farmers from the rolling hills of the NSW mid-north coast, opened their mail one evening to find “URGENT” correspondence from the global law firm Ashurst. Marked “STRICTLY CONFIDENTIAL NOT FOR PUBLICATION”, the letter claimed Bruce Robertson had made allegations which were unfounded, defamatory, reckless, disparaging, dishonest, misleading, extremely false and denigrating. The victim of this supposedly vile defamation of character was Grid Australia, the association of Australia’s biggest electricity companies which has since been wrapped into Energy Networks Australia. The Robertsons’ immediate fear was, that if they did not do what the law firm was demanding, if they fought this claim by the electricity giants, it would cost them their farm. This was a matter of survival. Ashurst and Grid Australia had come on strong. Though what they had not anticipated was that Robertson would go public and that his “allegations” – rather than being unfounded and defamatory, reckless, disparaging, dishonest, misleading, extremely false and denigrating – were true. In fact, they had led to the Senate Inquiry in the first place. Bruce Robertson had exposed “gold-plating” as a national political issue which had come at a price for every Australian via the steep rise in their power bills. That evening, this reporter talked through the threat with Bruce and Belinda on the phone. They were stressed. But in the end they resolved to go public. Besides being a beef farmer, Bruce was also a veteran share market analyst. Even so, he did not know, when the threats hit, that making unsolicited legal demands such as “pay our costs” and “keep quiet about it” had no basis in law. Neither did he know that big companies were prevented by law for suing for defamation; and even though this was technically an association or a peak body, no court was likely to uphold a defamation claim by Grid Australia. And at that point – here is the whodunnit – nobody knew that Grid Australia was trading with a bogus ABN number, a business number which would turn out to belong to a Danny Rosenberg, graphic designer from Caulfield South in Melbourne. When the story about the Grid Australia threat went to press the next morning, Bruce Robertson and his family were facing a lawsuit from six state electricity juggernauts. 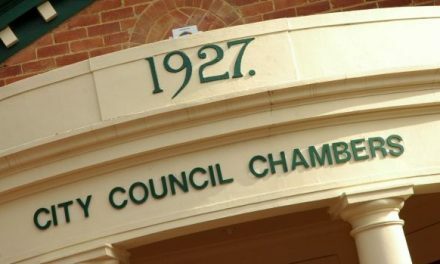 By that afternoon, the chairman of Grid Australia, Peter McIntyre, had issued a public apology and the defamation bluff had been withdrawn. “One Man Beats the System” was the banner outside newsagents the next day. In the wash-up, it turned out that Grid Australia had no explanation for this mysterious ABN number. The Office of the Legal Services Commissioner in NSW was asked to investigate but that came to naught. Two weeks ago, we personally received two legal threats, one from Herbert Smith Freehills and one from Addisons on behalf of directors of retirement village and aged care group Aveo. 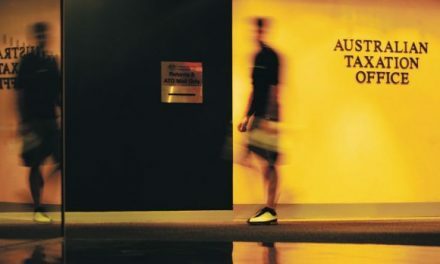 Acting for Aveo’s chairman, Lee Seng Huang, Addisons partner Justine Munsie claimed defamation and even malice and demanded the offending story be taken off michaelwest.com.au immediately, the “publication of an appropriate apology in words to be agreed by us” and an “offer to pay appropriate compensation and amount for legal costs”. What is “appropriate compensation” for a billionaire? The Freehills correspondence was slightly more restrained, demanding only two paragraphs be removed but also demanding compensation for the ardors of writing a letter. Justine Munsie, to her credit, picked up the phone and defended her actions, as lawyers do, as taking instructions from the client. Freehills’ partner Luke Hastings has chosen to duck for cover despite a number of approaches to discuss the matter and resolve the dispute with his clients. Both demanded their threats not be published. “Private and confidential” or “Not for Publication” are stocks-in-trade of the defamation lawyer. Unlike the Robertsons though, investigative journalists tend to get quite a few letters of this kind. Over the past 15 years or so, we have fielded threats from Macquarie Bank, Commonwealth Bank, Glencore, PwC, Qantas, a partner of Ashurst, the receivers of Opes Prime, former chairman of ASIC Tony D’Aloisio, Rubicon group founder Gordon Fell, Primelife founder Ted Sent, Hartley Poynton, a party involved in Trio Capital, City Pacific, LM Asset Management’s Peter Drake and a slew of stock market low-fliers … and no doubt quite a few others we can’t recall. There were also two threats for contempt of court: one from Resolute Mining and another from Multiplex. In most cases the claims were frivolous or vexatious, designed to muzzle. In some cases, proceedings were filed, in some cases we were named as a defendant along with the publisher, in a few cases there was a small settlement. In some cases, we got it wrong and there was an apology. In other cases, we got it right and there was still an apology. Only one went to court. That was Macquarie Bank versus Rupert Murdoch’s News Corporation over an investigation in The Australian newspaper into Allstate Exploration and the Beaconsfield Mine in Tasmania. To the credit of The Australian, it fought hard. From publication to final judgement, the kerfuffle over this story, The Mine Shaft, endured for years and cost millions of dollars. Macquarie lost the case and paid costs. The cost to the public in court time and ancillary actions arising from the Beaconsfield saga has been immense. The vast majority of legal threats sent to journalists and media are tactical, designed to win an apology or have a story stopped or taken down. The one thing these actions all had in common is “Not for Publication” on the letterhead from the lawyers. In some cases, there was justification for the complaint. In most, it was a case of bullying. It is a stock-in-trade of the defamation lawyer to intimidate and to gain advantage by scaring people. There is no legal basis for insisting an unsolicited threat be treated confidentially. Neither is there legal basis for paying the costs of a lawyer who has just bobbed out of the blue and threatened you. The public interest in this legal intimidation caper has never been greater. The disintegration of the mainstream media and the proliferation of niche publishers has become a smorgasbord for aggressive lawyers. The big media players are tight for cash, less inclined to fight, more inclined to settle, more inclined to self-censor, less inclined to chase big stories of public interest. They simply do not have enough experienced journalists to cover enough big stories or finance forensic investigations. The ABC too is under pressure. Witness the Emma Alberici jihad by News Corporation and the government. Small publishers don’t have the resources to fight. The spectre of defending a story means committing to the risk that, in the event of a loss, the publisher picks up the bill for millions of dollars in court costs and legal fees for both sides. A family home and a lifetime of savings gone. Despite the already uneven playing field in public discourse, the NSW Government, no doubt led about by the nose by its corporate donors, is seriously contemplating allowing corporations to sue for defamation once again. The state review may revisit restrictions on companies suing for defamation. It is back on the table. Before 2005, when the laws were reformed, companies could sue. They merely used shareholder money to shut down dissent. It was easy. It happened all the time. Now, their executives can sue but have to do so on their own account. Those reforms were a boon for free speech and public accountability. Should corporations be allowed to sue once again, they will go after environmental groups and other NGOs, and publishers large and small. This is no good for anybody, even the shareholders of companies, as suppressing information distorts financial markets. Will the Commonwealth Bank hop back in the ring and start suing journalists again and shutting down media coverage? If executives want to protect their short-term bonuses, yes. In light of the rise of corporate power, such legislation would be a disaster for democracy. Individuals cannot afford to defend themselves against corporations. This reporter was once threatened by lawyers for gold mining company Resolute for contempt of court – criminal contempt which carries a jail term – for the throw-away line in a story: “You get the justice you can afford”. Fearful of upsetting the Supreme Court of Western Australia on the other side of the country, the newspaper caved in a ran an apology. The reasoning behind the defamation law reforms of 2005 were that companies had the resources to defend themselves publicly without having to drag their critics through the courts. They spend millions on PR, lobbying and marketing. They are not people and they need no mollycoddling to protect their reputations. Permitting corporations to sue would present a carnival of fees for lawyers, but a heavy cost for taxpayers and investors and, in light of the seemingly inexorable rise in corporate power, will undermine Australia’s democracy.